Injustice: Gods Among Us releases on April 16th for the XBOX 360, PS3 and Wii U and to celebrate, Warner Bros. Interactive Entertainment has released a launch trailer and the opening cinematic for the game, which is more than enough to whet our appetites until Tuesday rolls around. Or at least, we hope it is. NetherRealm Studios’ upcoming DC superhero fighting game has us very excited, and with good reason. I mean, if being able to pit Batman against Superman or Green Arrow against Wonder Woman isn’t enough to tickle your comic book fancy, then maybe the epic new storyline that was written specifically for the game will do the trick. After the Joker destroys Metropolis and tricks him into killing Lois Lane and their unborn child, Superman kills the Joker and establishes a new world order. A battle ensues between the forces of Superman’s regime and those allied with Batman’s insurgency. Sounds pretty awesome, right? Especially if you’re a DC fan. 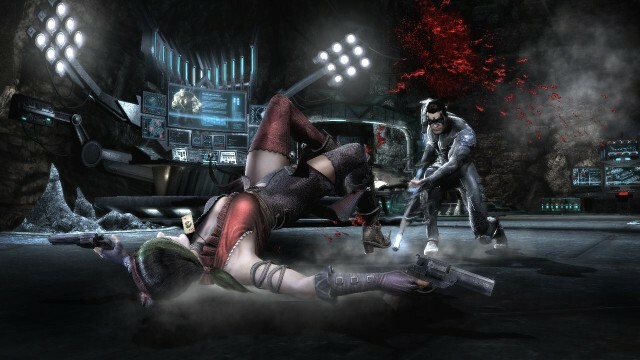 There’s also the extensive character roster that includes all your DC favorites as well as the interactive environments to get excited about, which look to add a unique element to each fight. Having spent a few hours with the demo, I can safely say that I’m pretty impressed with the gameplay and am more than eager to get my hands on the final product. Check out the launch trailer and opening cinematic for Injustice: Gods Among Us below and let us know what you think of the game. Are you looking forward to it? Which character will you be taking for a spin first? Sound off and be sure to check back next week for our review.